Create your own little school in your doll's house! With these accessories and the School wall set for Lundby Creative, your doll's house becomes a school where you're in charge of the lessons and when it's time for a break. 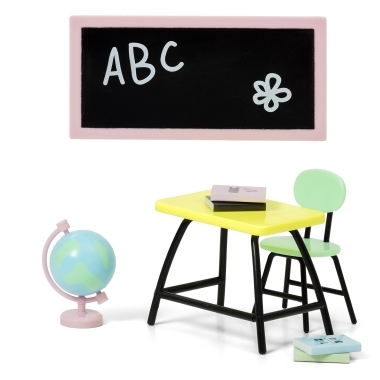 The set includes a school desk and chair, a globe, the teacher's blackboard and four books.